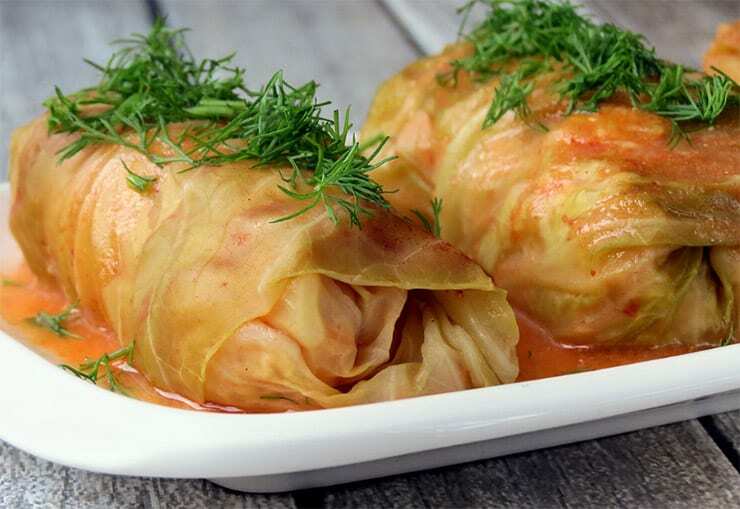 Cabbage rolls are traditionally defined as a heavy, winter meal that can stand in the fridge for days and be used as a quick dinner after a long day. This recipe, however, is somewhat different. Instead of my usual meat choices, I have decided to go with the lean chicken meat, some carrots, onions, and spinach. Tightly wrap everything with large cabbage leaves, add your favourite chicken stock for some sauce, and bake until just perfect. Dip cabbage leaves in boiling water until pliable. Dry fry grated onion in a non-stick pan. Mix minced chicken, onion, herbs, carrot and spinach in a bowl. Divide evenly and place on cabbage leaves. Roll up and secure with toothpick. Place in ovenproof dish and cover with chicken stock (use Campbell’s Real Stock or homemade). Place in a moderate oven and bake for 30-40 minutes. Serve with fresh vegetables and a large green salad. Counting Calories – What's it all about? Healthy Weight Forum does not provide medical advice, diagnosis or treatment.